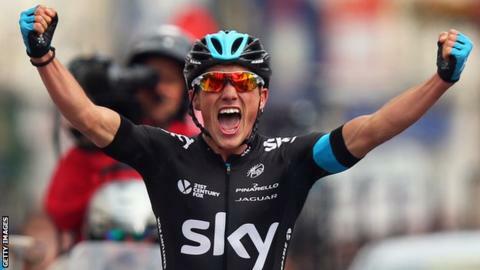 The courses for the 2017 British Cycling National Road Championships in the Isle of Man have been revealed by British Cycling. The biggest date in the British road race calendar will see champions crowned in both road and time trial disciplines in June. Both the men's and women's road races will include the TT course and start and finish at the Douglas grandstand. Meanwhile the time trials will start and finish in St John's. Manx rider Mark Cavendish, who won the national road race title in 2013, said there is a "huge amount of enthusiasm" for hosting the national championships on the Isle of Man. He said: "It will be fantastic to see some of the country's best cyclists competing over these courses next month." Last year Adam Blythe, Hannah Barnes, Alex Dowsett and Hayley Simmonds were crowned elite champions in Stockton-on-Tees. The men's road race on 25 June will see riders complete two laps of the 37.7-mile (60km) Mountain Course before 10 laps of a 4.5-mile (7.2km) finishing circuit in Douglas. The women's race, held on the same day, will involve one lap of the TT course and six laps of the finishing circuit. The time trials on 22 June will involve a 13.8-mile (22.2km) circuit on the west of the island which starts and finishes at Tynwald Hill. British Cycling's director of cycling Jonny Clay said the routes incorporate some of the island's "most famous sites". He said: "The course announcement is another hugely exciting milestone for a championships which will help to underpin elite road racing on the island and raise its profile nationwide." A mass participation sportive event will also take place on 24 June.